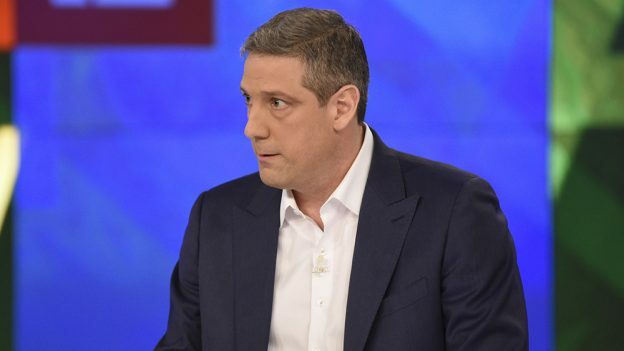 Ohio Rep. Tim Ryan announced he’s officially running for president in 2020 during an appearance on ABC’s The View. On his campaign website, Ryan outlines his decision to run for president and specifically cites the closure of a General Motors plant in Lordstown, Ohio, which is in the congressional district he represents. “When our local GM factory was shut down last Thanksgiving, I got a call from my daughter who was consoling her friend whose father was an autoworker and was just laid off. My daughter said to me, with tears in her voice, ‘You have to do something,’” Ryan wrote. Ryan is using the Donald Trump playbook of jobs, promising to save manufacturing jobs across America’s Rust Belt and Midwest, focusing on the key swing states of Ohio, Pennsylvania, and Michigan. Ryan says Trump’s rhetoric doesn’t match his actions.